As marketers, we know how difficult it can be to automate the ads to show exactly the right intent and context. Today, 5th of April, Google introduced new tools to make things easier for us all. Lets take a look at them. A new dashboard announced, which can supply more transparency and control when it comes to evaluate the performances of bid strategies. The updates include recommended category targets based on the website content, category based CPC suggestions for more visibility and landing pages. Also, other several products are introduced today for measuring the moments of the customers. To measure the full impact of our campaigns, now we can gather all the touch points together. From today on, search marketers are able to choose an attribution model for each conversion type. This choice will be reflected in your AdWords report and bidding. As marketers, we can now measure the incremental impact of out Google Ads. Consumers can start their journey from one device and finish by buying from another. For later this year, Google is promising to be able to detect these insights if all are integrated to auto bidding. Do not forget to read about our other post Screen Swipes vs Mouse Clicks. You will find all the details about what will change for the consumers side. 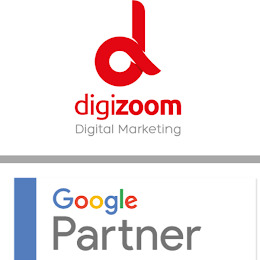 As Digizoom team we are curious if you will like the changes. We are also offering you a Free Google AdWords Check to help to start your first search advertising campaign.